Kyla Edmonson is shown getting a hit for Berry during the tournament at Hubbertville. 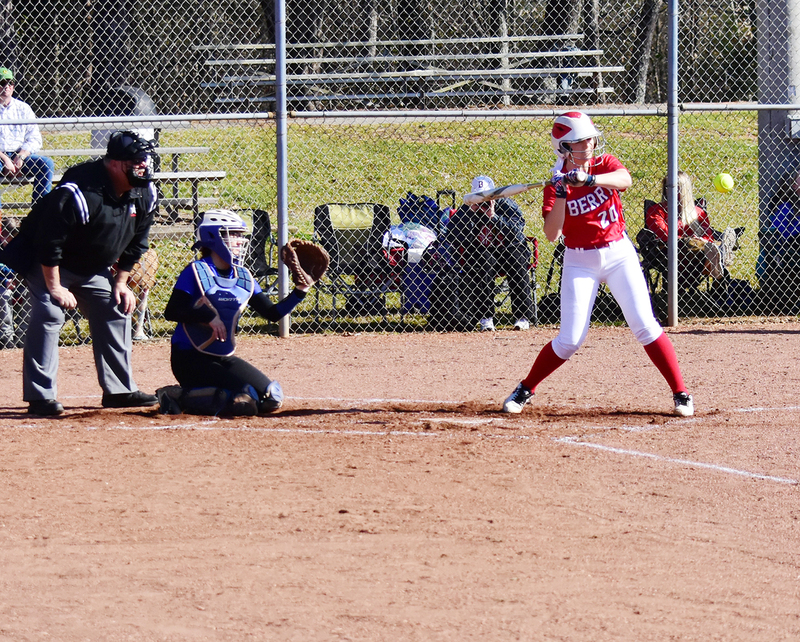 Berry softball completed a successful tournament at Hubbertville on Saturday, winning three games and losing a 1-0 heartbreaker in the other game. The Lady Wildcats, ranked number 10 in the latest Alabama Sportswriters Association Class 1A poll, opened the tournament with an 8-1 win over Brilliant. Brooke Blanton pitched a complete five-inning game, striking out 10 batters to earn the victory.